Posted on October 27, 2017 by Audrey wrote in Desserts. The sweet, gooey caramel packs this tart apple pie recipe with lots of flavor. Not only will it taste great, but slow-cooking pie will fill your home with a deliciously enticing scent. For the pie crust, combine the flour, sugar, butter and salt together until it is mixed well. Use a slow cooker insert and coat it lightly with oil before setting the pie crust in. Use the bottom of a glass to press and push the pie crust mixture to fill the bottom of your slow cooker and up the sides at least a 1/2 inch. In a bowl, combine the apples, caramel, cinnamon, nutmeg and salt. Pour mixture over pie crust bottom, cover and heat on high for 1 1/2 to 2 hours. Carefully remove pie from slow cooker. Serve warm and enjoy! 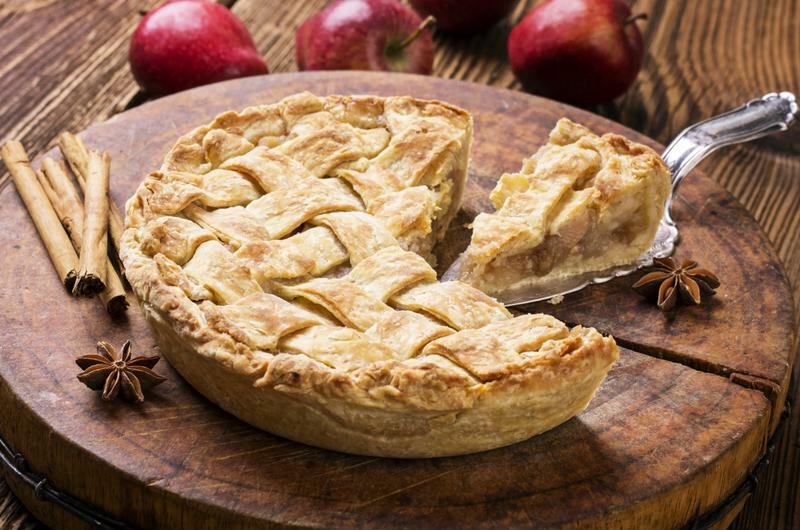 Freshly made caramel apple pie will create an irresistible aroma in your home. You can never go wrong with the classic pecan pie. Making it in your Crock-Pot® 4-Quart Manual Slow Cooker will spice up the presentation of the dish, creating an irresistibly perfect crust. 3 ounces semisweet chocolate, chopped. For the pie crust, combine the flour, sugar, butter and salt together until it is mixed well. Use a slow cooker insert and coat it lightly with oil before setting the pie crust in. Use the bottom of a glass to press and push the pie crust mixture to fill the bottom of your slow cooker and up the sides at least a 1/2 inch. In a medium bowl, combine the eggs, honey, sugar and salt. Add in pecans, chocolate, vanilla extract and cinnamon. Pour the filling batter over the uncooked pie crust, cover your slow cooker and cook on high for 3 hours. Remove from the slow cooker before serving. Due to the slow ramp up, and even heating of a slow cooker, recipes featured on this site can be cooked in a range of slow cooker sizes. Recipes can be increased or decreased by one quart size per the cooking instructions. For smaller sauces and dips that calls for 3 quarts or less, it is not recommended to alter the unit size. Crock-Pot® is a registered trademark and should not be used generically when referring to a ‘slow cooker’ within the recipes.